The chasm between JV and varsity sports is much greater at the collegiate level than in high school. It takes more than determination, sacrifice, time and athleticism, although it still requires all of these elements, to move from junior varsity to varsity in college. It takes something more. Ethan Lee, a senior finance major and forward on the soccer team, is another athlete who made his way from JV to varsity. During his freshman year at Delaware’s Seaford High, Lee worked his way onto the varsity soccer squad. Throughout high school, he attended camps where colleges came to look for potential players. Cedarville’s coach asked Lee to play for the Yellow Jackets, and he decided he wanted to go to Cedarville. 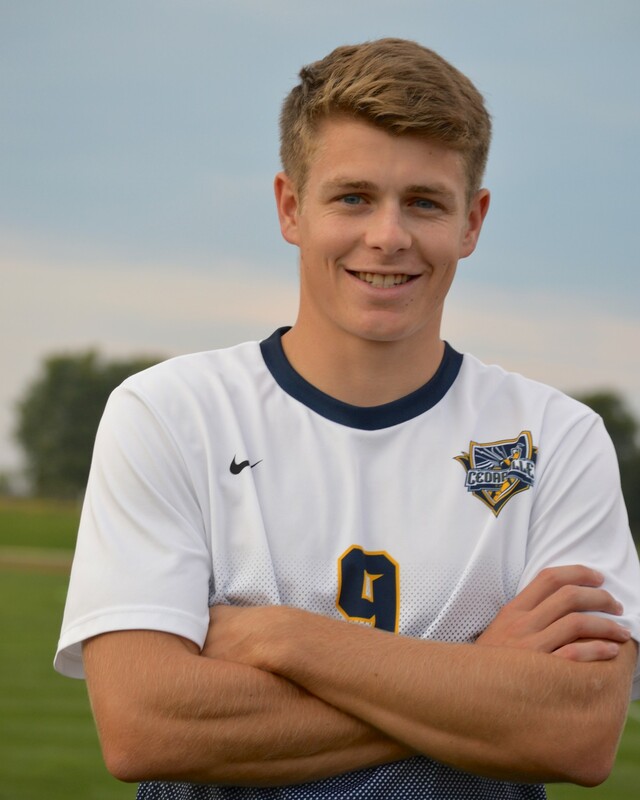 He came to Cedarville, expecting to play what he called “a reserve role.” Unsure of what that meant, he showed up on campus thinking he would have a minor role on the varsity team. But during his freshman year, Lee played on the JV team, a team he didn’t know existed until he arrived. Lee said the transition from high school to JV was difficult because the game was much more competitive. Lee continued to work hard and push himself through every obstacle, and the coaches took notice. Even though he was practicing with the varsity team, his spot on the team was far from solidified, because he was still playing on the JV team. Then, another obstacle found its way into his life. He sustained a hip-flexor injury that required months of rehab. Once he fully recovered from the injury, Lee started practicing with the varsity team again, but everything still wasn’t clear. He continuously asked the coaches when scrimmages and workouts were and whether he could come. Finally, Lee decided he needed assurance. Cedarville men’s soccer head coach Brett Faro said he liked what he saw in Lee. Lee has had his ups and downs with the varsity team, but overall he said he has loved playing varsity. “It has been a tough but rewarding journey,” Lee said. David Dinnie, a senior at Cedarville, began his collegiate basketball career on the JV team, but moved up to the varsity team two years later. Dinnie began playing varsity high school basketball for Grove Avenue Christian High School in the seventh grade. He completed an impressive career for the Richmond, Va., school, averaging 18 points and 12 rebounds. He was the captain all four years of his high school basketball career. Dinnie wasn’t recruited out of high school and came to Cedarville with the intention to only play intramural basketball. However, when he heard about the JV team, he decided to give it a shot. Dinnie tried out and made the team his freshman year, and he made the team again the next year. The varsity team was in need of a big man with some skill, and Dinnie was the player they were looking for. He eagerly accepted the offer and shortly thereafter, began practicing and lifting with the varsity players. Ever since then, Dinnie has been evolving from a “practice player” to someone who might see some increased playing time this upcoming year. Dinnie said that there are several differences between JV and varsity. Dinnie said he became a better player because he accepted the coaches’ offer and applied himself to the task. Williams said Dinnie has become a better player mentally and physically due to an improved work ethic. Patrick Estepp, the head coach of the men’s basketball team, praised Dinnie’s dedication to the team. Byron Brown is a junior global business major and sports reporter for Cedars. 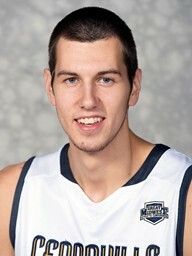 He plays for the JV basketball team here at Cedarville. No Replies to "Stepping Up Their Game: JV to Varsity"